Home / Same Day / Radiant Peruvian Lilies! Make someone feel radiant! The Radiant Peruvian Lilies arrangement will light up the room with a variety of colorful Peruvian Lilies. 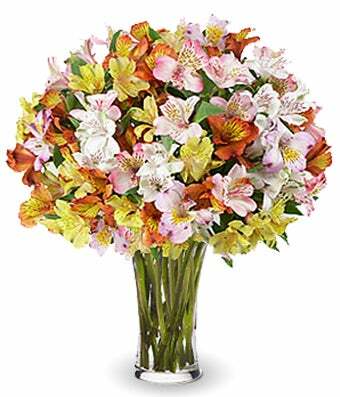 From red to yellow and pink Peruvian Lilies, this bouquet is delivered in a keepsake glass vase.